Type *#61# and press call – Check redirection status. If your phone doesn’t have incoming call barring and outgoing call barring, you can try this. 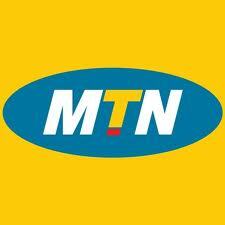 For outgoing call barring dial *33*barcode*# and pres OK. To deactivate it dial #33#barcode*#. If you want to hide/show your phone number when calling, put one of these codes below in front of the number that you are going to call. If you are in Indiausing IDEA Pre or Postpaid connection then dial *101# you will get a secret menu that will let you to activate or deactivate any supported Idea package for your mobile. (3) *#4720# Activate Half Rate Codec – Your phone uses a lower quality sound but you should gain approx 30% more Talk Time. (8) #pw+1234567890+1# Provider Lock Status. (use the “*” button to obtain the “p,w” and “+” symbols). (9) #pw+1234567890+2# Network Lock Status. (use the “*” button to obtain the “p,w” and “+” symbols). (10) #pw+1234567890+3# Country Lock Status. (use the “*” button to obtain the “p,w” and “+” symbols). (11) #pw+1234567890+4# SIM Card Lock Status. (use the “*” button to obtain the “p,w” and “+” symbols). (17) *#43# Allows you to check the “Call Waiting” status of your phone. (18) *#61# Allows you to check the number that “On No Reply” calls are diverted to. (19) *#62# Allows you to check the number that “Divert If Unreachable (no service)” calls are diverted to. (20) *#67# Allows you to check the number that “On Busy Calls” are diverted to. (23) *#746025625# Displays the SIM Clock status, if your phone supports this power saving feature “SIM Clock Stop Allowed”, it means you will get the best standby time possible. 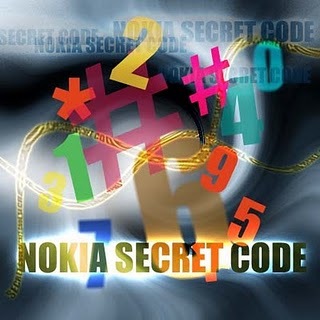 26) *#8110# Software version for the nokia 8110. (29) **21*number# Turn on “All Calls” diverting to the phone number entered. (30) **61*number# Turn on “No Reply” diverting to the phone number entered. (31) **67*number# Turn on “On Busy” diverting to the phone number entered. On Tesco mobile if you dial the top up line get to the menu where it ask you for topping up by payment or voucher stay on the line and it will give you the option of calling customer care for FREE also try other O2 codes for Tesco mobile they work. To check minutes on the Cingular network call *646# and you will recieve a FREE txt message with the remaining minutes. To check balance dial al *225# then send and you will recieve a FREE txt message with the current balance but doesn’t work with combined billing. To access ur voicemail on Telstra via another phone, call ur mobile and when you hear your greeting press * then enter your voicemail pin and press #. You will now be told if u have any messages! To get you account balance on BSNL Mobile in India press *123# and then press call. On wind (Italy), type *123# to see credit balance. If you call *121# on Mobtel network, you’ll ger your credit balance. To view your balance on Dialog GSM for pre-paid only type *#456# and press call. You can see credit balance at display by dialing *444# for Telenor Pakistan. *111# on Mobilink Pakistan. and *100# on Warid Pakistan. 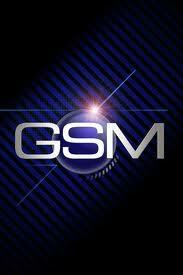 Hutch GSM: To see your credit balance on the screen, Call *141# .